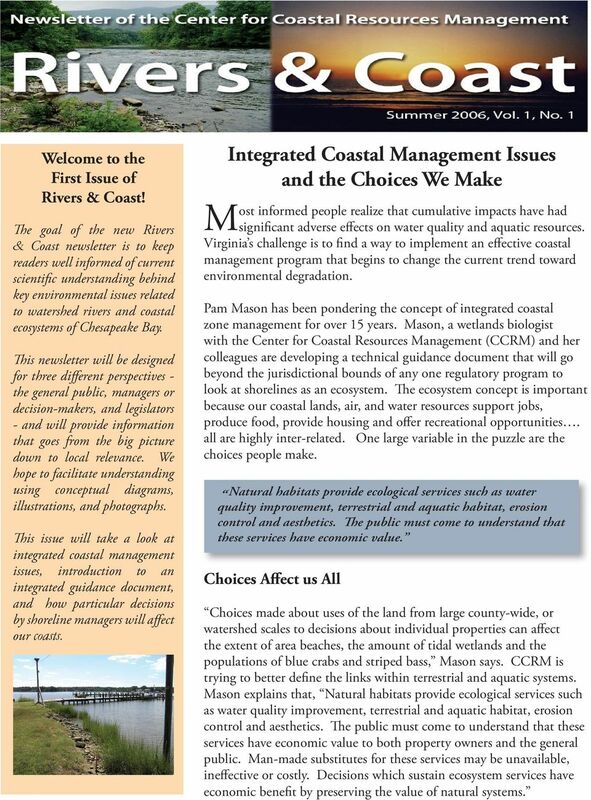 Download "Most informed people realize that cumulative impacts have had"
1 Welcome to the First Issue of Rivers & Coast! The goal of the new Rivers & Coast newsletter is to keep readers well informed of current scientific understanding behind key environmental issues related to watershed rivers and coastal ecosystems of Chesapeake Bay. This newsletter will be designed for three different perspectives - the general public, managers or decision-makers, and legislators - and will provide information that goes from the big picture down to local relevance. We hope to facilitate understanding using conceptual diagrams, illustrations, and photographs. This issue will take a look at integrated coastal management issues, introduction to an integrated guidance document, and how particular decisions by shoreline managers will affect our coasts. 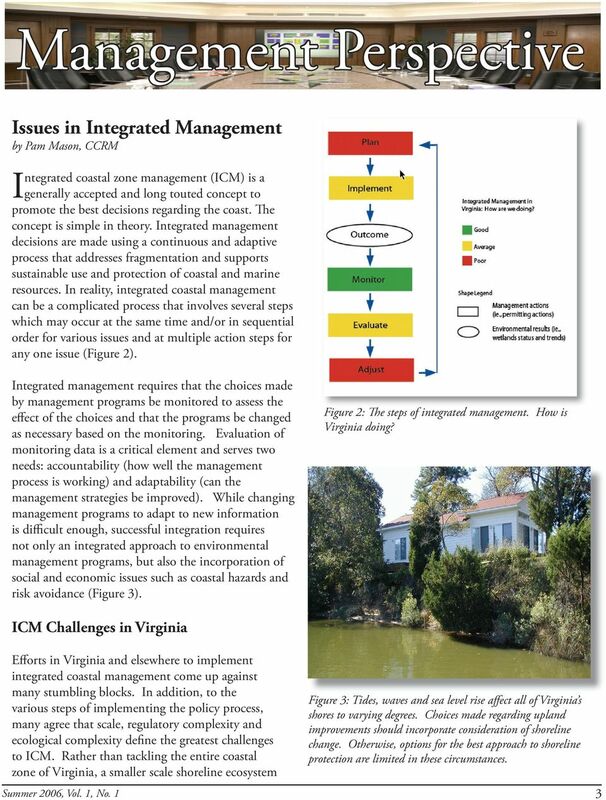 Integrated Coastal Management Issues and the Choices We Make Most informed people realize that cumulative impacts have had significant adverse effects on water quality and aquatic resources. 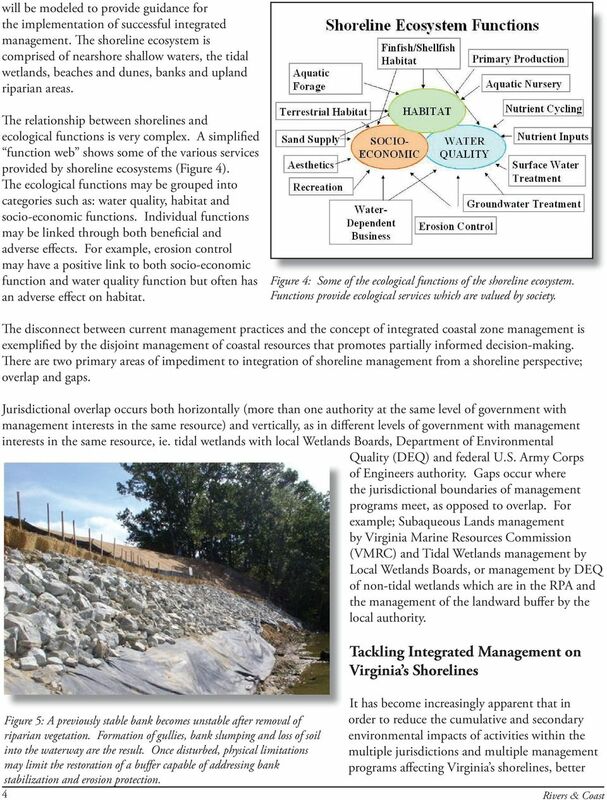 Virginia s challenge is to find a way to implement an effective coastal management program that begins to change the current trend toward environmental degradation. Pam Mason has been pondering the concept of integrated coastal zone management for over 15 years. 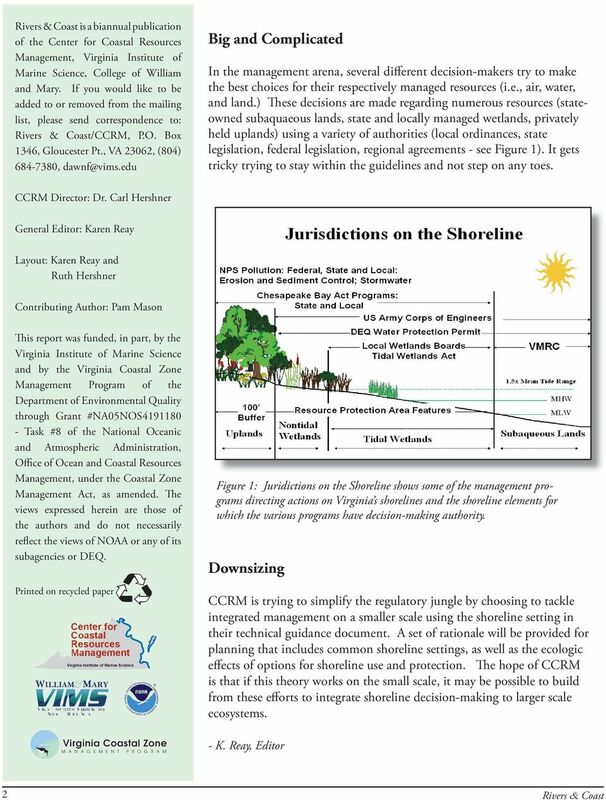 Mason, a wetlands biologist with the Center for Coastal Resources Management (CCRM) and her colleagues are developing a technical guidance document that will go beyond the jurisdictional bounds of any one regulatory program to look at shorelines as an ecosystem. The ecosystem concept is important because our coastal lands, air, and water resources support jobs, produce food, provide housing and offer recreational opportunities. all are highly inter-related. One large variable in the puzzle are the choices people make. Natural habitats provide ecological services such as water quality improvement, terrestrial and aquatic habitat, erosion control and aesthetics. The public must come to understand that these services have economic value. 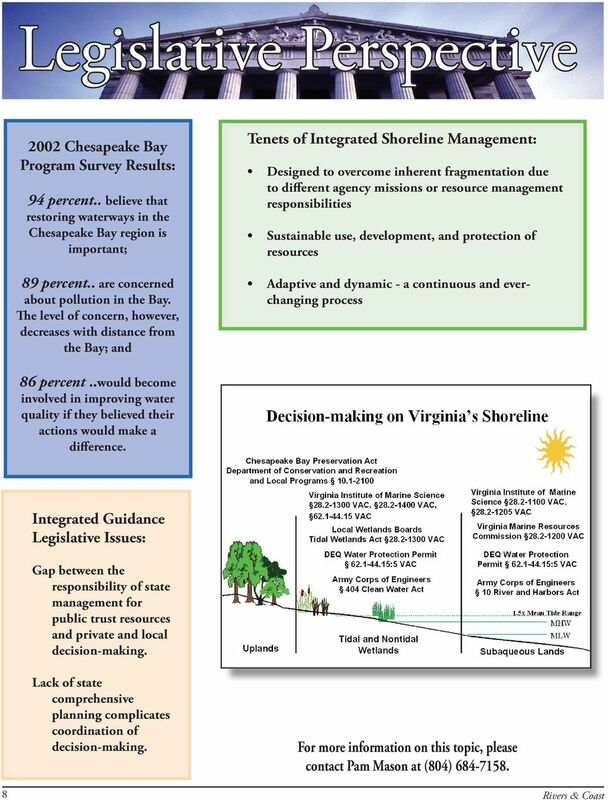 Choices Affect us All Choices made about uses of the land from large county-wide, or watershed scales to decisions about individual properties can affect the extent of area beaches, the amount of tidal wetlands and the populations of blue crabs and striped bass, Mason says. CCRM is trying to better define the links within terrestrial and aquatic systems. 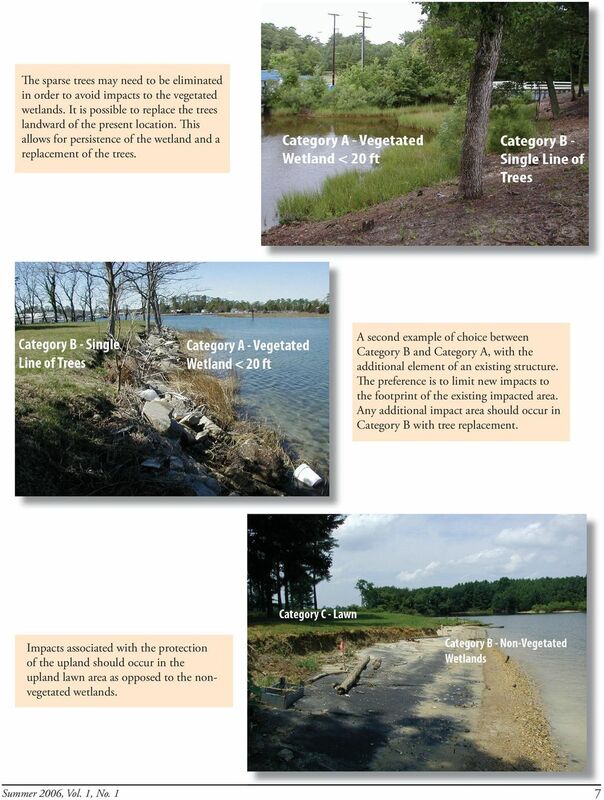 Mason explains that, Natural habitats provide ecological services such as water quality improvement, terrestrial and aquatic habitat, erosion control and aesthetics. The public must come to understand that these services have economic value to both property owners and the general public. Man-made substitutes for these services may be unavailable, ineffective or costly. Decisions which sustain ecosystem services have economic benefit by preserving the value of natural systems. The project site lies within an AE Zone and portions lie within the regulated floodway. Development of this site is subject to TCLUO, Section 3.060. Sim Isle. Lesson Focus: The impact of coastal development on economic and environmental issues. Sim Isle Lesson Focus: The impact of coastal development on economic and environmental issues. 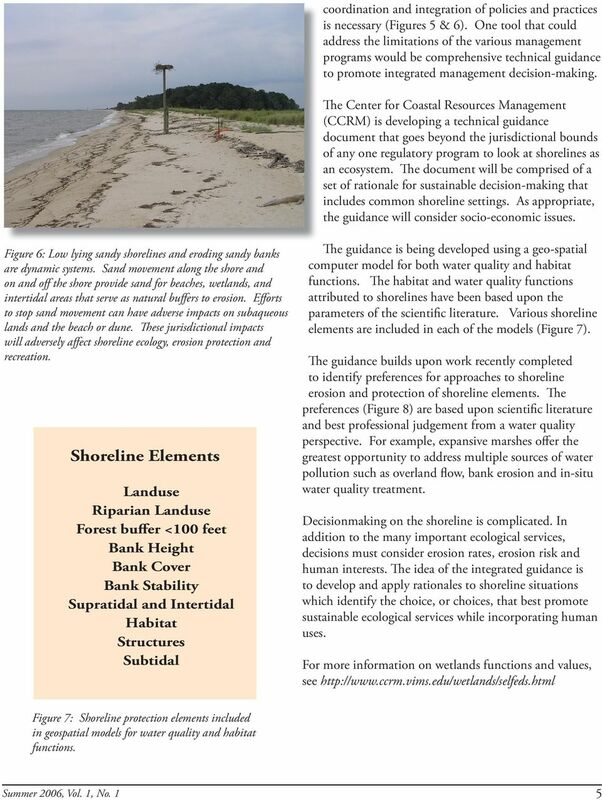 Learning objectives: To gain the perspective of a variety of stakeholders on development of barrier islands. The Oldest Operating Wetland Mitigation Bank In The U.S. Looking for property near the ocean? WONDERFUL, WATERFUL WETLANDS OBJECTIVES The student will do the following: 1. 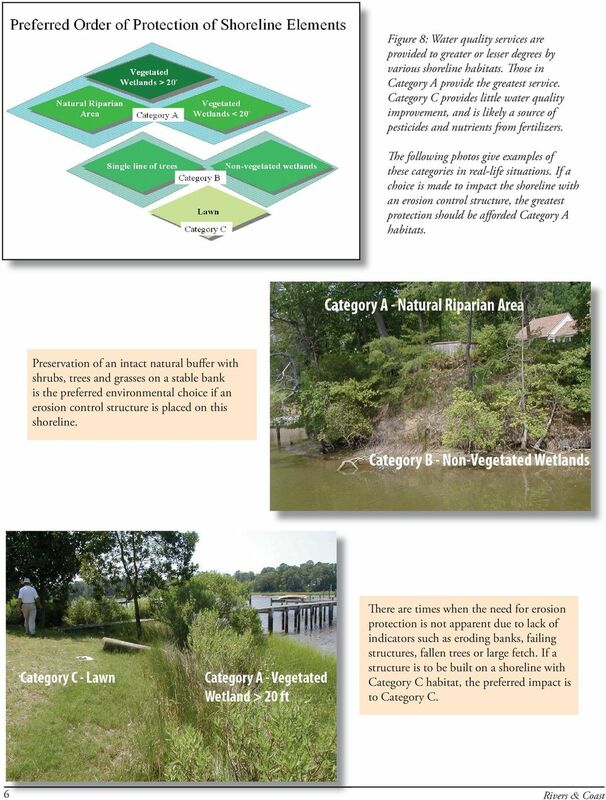 List characteristics of wetlands. SUBJECTS: Science, Language Arts TIME: 60 minutes 2. Describe the functions of a wetland. Go Green, Save Money: Lowering Flood Insurance Rates in Virginia with Stormwater Management and Open Space Adele Young J.D. Virginia Coastal Policy Clinic at William & Mary Law School Kristen Clark, J.D.